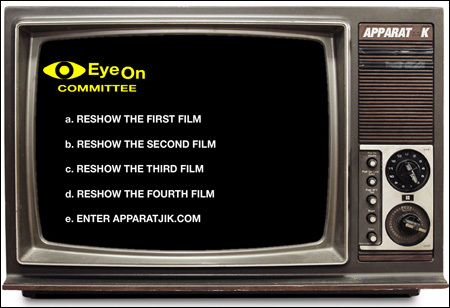 After all four videos were up on the site, fans submitted their synopses to the eyeoncommittee, and on November 11 received the ‘Electric Eye’ track via e-mail as their reward. The single was then released as a free download on their web site on November 30. 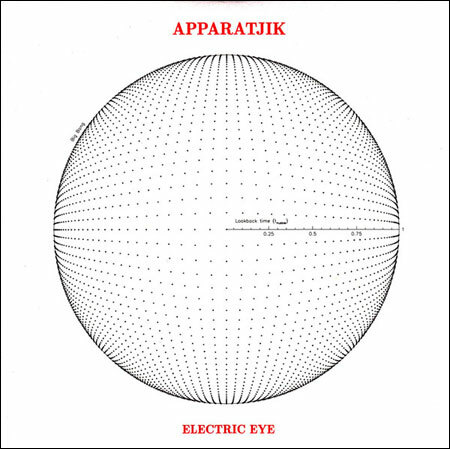 In December, the single was made available as a vinyl 7″ together with an Apparatjik t-shirt from Moods of Norway. 11/24/2009 – Cosmo: Coldplay ?a? a-ha e?????? t?? d???µe?? t??? 11/24/2009 – Flavor Wire: Coldplay + A-Ha + Mew = Supergroup? 11/24/2009 – Metalhead: Proiectul basistului Coldplay isi face debutul pe piata? 11/24/2009 – Musicorama: Une sacrée bande d’apparatchiks! 11/24/2009 – Pop Rock News: O? Apparatjik ap??a??pt? ?ta?